Fitness Friday : Twilight Yoga with Santé Fitness & A GIVEAWAY! Not only is it Friday, it's also officially Fall which makes my heart so very happy! Out of every season, Fall is by far my favorite. I just can't wait for the weather to catch up with the season, seriously it's still getting so hot here during the days that I'm continuously looking at the weather hoping to see lower temps in the forecast. Let's move on, shall we?! 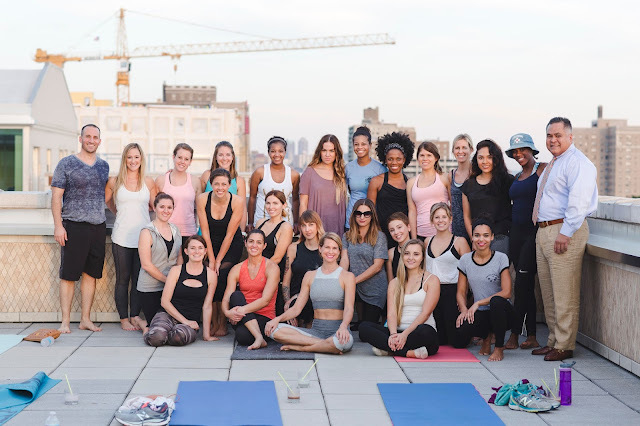 This past Wednesday I was so lucky to be invited to an event for bloggers and influencers in the St. Louis area where we were able to do Twilight Yoga on top of the Chase Park Plaza. For those of you who don't know what the Chase Park Plaza is, it's an incredible hotel in the downtown area, overlooking Forest Park. 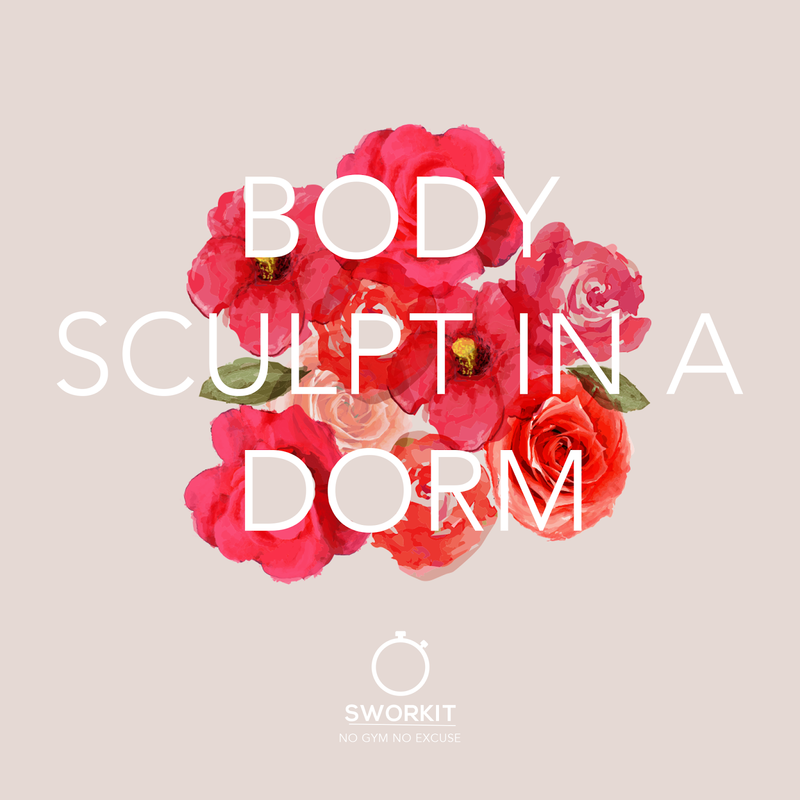 Last week I shared a whole post about working out in Forest Park, check that out HERE! This hotel is beyond gorgeous and I would love to be able to stay there one day, maybe a little stay cation action... One day, fingers crossed! This event was sponsored by Santé Fitness, which is the gym that is located inside the Chase and I have to say it is one of the nicest gyms I have ever seen. From the classrooms, equipment to the locker rooms and amenities you are guaranteed to get every single pennies worth with a membership. I was able to invite one of my best friends to go along with me to this event and when we arrived we were greeted by gorgeous views, smoothies that were delectable and a staff that was so warm and welcoming. 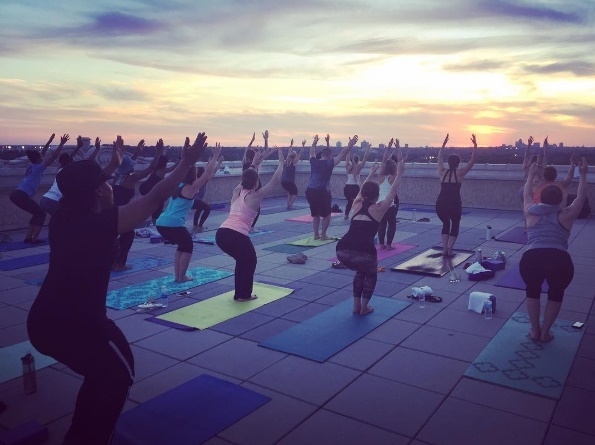 The yoga class began around 6:45 pm as the sun was setting and it was breathtaking. I have never been one to actively search out a yoga class, every other time I have tried it out I haven't fully gotten into it. After this experience I can honestly say I have changed my view completely. The instructor from Santé Fitness, that led the class, created an environment that made me truly appreciate yoga. All in all the experience is one that I will never forget and one that I will be grateful to have been able to be a part of. To top it off Santé Fitness has graciously given me a 30 DAY FREE MEMBERSHIP to give away to one lucky reader! If you are in or are planning to be in the St. Louis area anytime between now and December of this year, please, I encourage you to enter the giveaway and check out Santé Fitness. If you don't win the giveaway I still would highly encourage you to check out all that Santé Fitness has to offer and go take a tour to get the full understanding of just what you can get with a membership to their facility! It's Wednesday again and that brings us to another installment of What to Wear Wednesday all about my Mexico bound suit case! Today's spotlight is all about active wear. I know, I know, I'll be on vacation and sipping drinks by the pool everyday, however I still plan on finding time in the mornings to workout and do what I can to stay in shape with the gorgeous background of the beach! 1. Sunglasses - This may seem like a no brainer but I have a tendency of running out the door to take a jog and forgetting my sunglasses, so here it is, number one on my list so I *hopefully* don't forget! Running on the beach in the sun would not be as fulfilling without my sunglasses! 2. Water Bottle - Personally, I like to run with a water bottle in hand instead of waiting it out until the end of my run. This water bottle is a bit heavy, however I am not planning on running super long distances in Mexico, just nice jogs on the beach in the mornings! I have this water bottle in my cabinet and it has become one of my favorites! 3. Accessory Belt - If you haven't read my posts about this belt then please do so HERE and HERE now. I am completely obsessed with the amount of stuff I can fit in here! Being on vacation I may even need to add a few extras and this belt is just the perfect and must have accessory! 4. Sports Bra & Leggings - So I have just came across this company and have fallen madly in love with their clothing. Seriously, I can't wait to get my hands on this sports bra and legging set! Nothing better than a cute outfit to go for a run or to the gym in Mexico and anywhere else!! Be sure to check out this companies other active wear HERE and their Pinterest page HERE for more inspiration. I seriously could have picked every single thing they have, however for the sake of this post I had to narrow it down... You won't regret checking them out! 5. 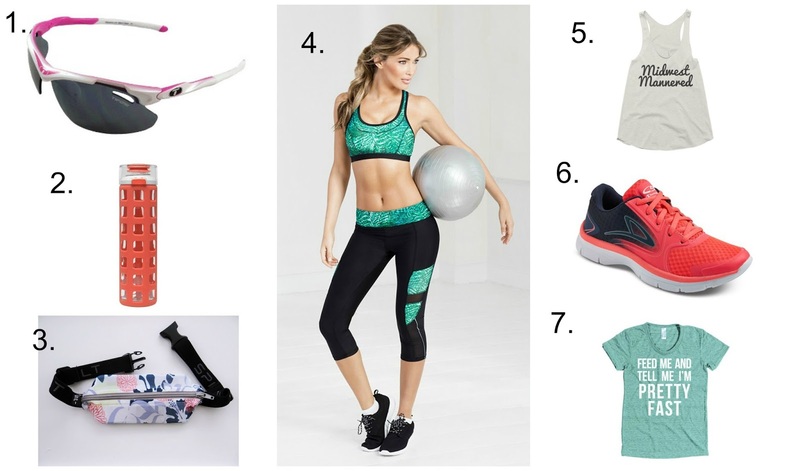 Activewear Tank - You have heard me talk about this incredible local company in THIS post and here it is, coming up again because I just can't help myself! Their clothing is just so cute and I'm a huge fan or representing where I'm from wherever I go! 6. Shoes - Again, a no brainer. Running/athletic shoes are a must for working out on the go. I'll definitely be getting my hands on a pair of these tennis shoes before heading on vacation! 7. Running Tee - Basically I feel like I just need this shirt and I need to wear it daily. Two of my favorite things, running and eating and they go hand in hand. On Saturday we took our boys to an event that was hosted by a local high school called "Things That Go!" Now if you know my oldest son, Oliver, then you know that he is OBSESSED with trucks and cars and basically anything in that category. 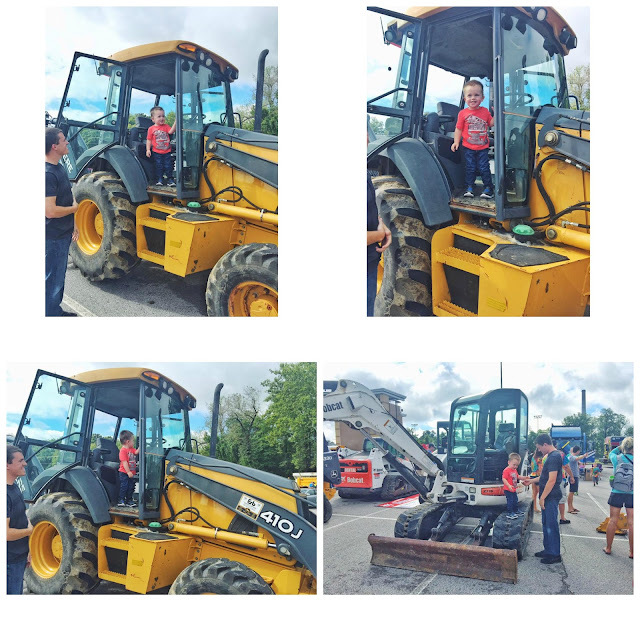 Well we were able to take him to actually see these construction vehicles and so much more! He made it about a half hour before all the honking started to get to him and he wanted to go home, but for those thirty minutes he was enjoying himself quite immensely. Before I knew it Monday was (is) here and it's time to get back to it. Which means it's time to start buckling down for the week. For me, that means school with Oliver and finding time to get in a quick workout! This weeks workout is absolutely a favorite of mine and I've been using it since I created it and now I'm SO excited that I get to share it with you all! All you have to do is DOWNLOAD THE APP and then CLICK THE WORKOUT HERE and add it to your list of custom workouts! ALSO, make sure you use the hashtag #WHEREISWORKIT for your chance to win a year of premium for free!! !